Terrace overlooking the skyline, eco-style, design and wellness are the plus of the new hotel by MGallery. Milan, March 31st 2015 –. 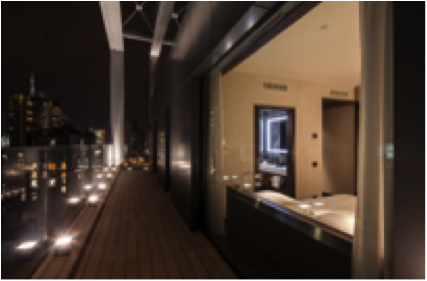 Following the opening of LaGare Hotel Venezia on the island of Murano, in 2013, the real estate company LaGare Spa is glad to announce the opening in Milan of the new LaGare Hotel Milano Centrale. Both properties are part of the MGallery Collection by the Accor Group, hotels with strong personality, designed to offer the guests an exclusive, unique experience. The new hotel is named after its strategic location: in the very heart of Milan's new skyline, nearby Central Station and Porta Garibaldi Station, both serving high speed trains, connections to Milan airports and different metro lines. 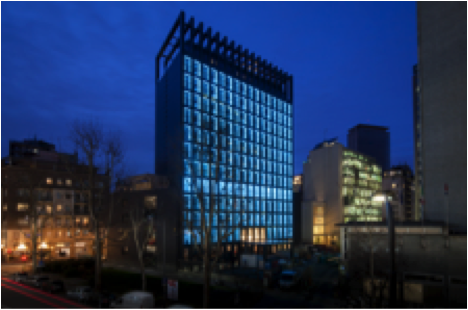 Located in Via Pirelli 20, in Porta Nuova area, LaGare Hotel Milano Centrale is the new business and wellness tower, the ideal spot to enjoy Milan from the top. The building was acquired by LaGare Spa in 2012 and, following the full renovation works required, turned into a hotel designed in compliance with the highest quality and ecological sustainability standards. The rinse water recovery systems featuring geothermal technology, the employment of renewable sources based energy, the natural local materials, the waste recycling systems, the high thermal insulation windows are just a few of the many features that gained this building the certification LEED Gold. Thanks to its exclusive location, LaGare Hotel Milano Centrale offers the opportunity to fully experience Milan, by enjoying the new outstanding skyline from the 13th floor terrace or by exploring the city's nightlife. Each room features a business oriented style, thus providing a refined impeccable look: the lobby, the common areas, the restaurant and dehors, the 141 rooms (Suite, Wellness Junior Suite with private Turkish bath, Junior, Deluxe and Superior room) are modern, minimal and carefully designed with different elements, like the authentic Venini chandeliers overlooking the lobby and the restaurant on the 4th floor – not to mention the finest materials such as stone, capitonne, glass, wood and steel. The 6 meeting rooms also feature exclusive interior design elements and finishings, with natural light and capacity up to 200 people. The business travelers will definitely enjoy the free fiber-optic based high speed wifi Internet connection, as well as the co-working space located in the lobby, offering 10 comfortable desks. The food prepared by the chef Salvatore Perrone reflects the strong ties with the territory: from the dynamic power breakfast based on organic, natural, local products, to Milan's traditional dishes prepared in a lighter version, served at LaGare Bistrot. LaGare Cafè is ideal for a quick bite or to have Aperitivo, whilst LaGare Rooftop, the outstanding terrace of the hotel, is perfect for those looking to enjoy a moment of relax or a drink in a fine, trendy environment. The organic style is part of the hotel's wellness oriented DNA. Besides the fresh seasonal food and products, which guarantee balanced nutrition throughout the day, the hotel offers the guests a wellness area for pure relaxing moments. Located in the lower ground floor, the SPA is equipped with fitness area, sauna, Turkish bath, salt room, chrome and aromatherapy emotional showers, picturesque Roman bath, relaxing room. Sofitel, authentic luxury hotels with a French soul, is the elegant answer to a luxury traveler’s quest for the good things in life.